It seems that every year around this time, I am reminded of the importance of keeping good records, particularly financial records. The reasons can be pretty compelling, too, both positive and negative. I want to maximize the amount of my tax return (or minimize the amount that I still owe!). I also want to be sure I didn't forget to include something that would end up with me paying a fine to the IRS. Records and methods of tracking are useful for a myriad of other things as well, like your health and wellness! Numerous studies have shown the benefits of these “self-monitoring” efforts in making and maintaining successful health behavior changes.1 And this fits right in with the primary focus of wellness coaching, to help people learn proper self-care (as compared to medical care, pharmaceutical care, surgical care, etc.) 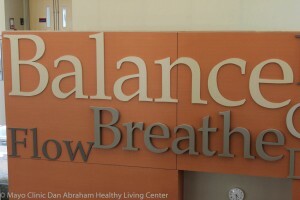 as a preventative approach to wellness. Some folks prefer to use paper versions of record keeping, while others are more motivated to use electronic tools or even social media. One of my wellness coaching clients gave me permission to share the fact that he has set up a private Facebook page to track his progress as well as setbacks. Here he records, with both pictures and text, not just the more objective measures to which we may be accustomed (weight, days exercised, minutes on the elliptical, level of intensity or weight lifted, etc. ), but also how he feels, how he looks, how much energy he has, how much easier it is to do everyday tasks, how his clothes fit, and perhaps comments made by others who notice changes in him. I call these “peripheral indicators” of success. And they are every bit as important as tracking numbers alone. Whether you use one of the many devices that track your movements and connect automatically to the Internet, or one where you manually enter information about your wellness behaviors (paper or electronic), just know that the very act of recording bumps up your chances of being successful on this go around. 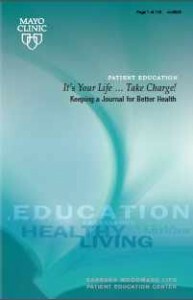 There is even a Mayo Clinic Patient Education publication titled “It’s Your Life…Take Charge! Keeping a Journal for Better Health” that is available free of charge to give you some structure for doing this. Included are places for recording sleep patterns, nutrition and exercise plans and behaviors, and even a spot for relaxation/spirituality/stress management tracking. At the end of each week, there is also room for some reflection regarding successes, challenges, and changes or experiments to be tried the next week. Sounds a lot like wellness coaching to me! Without the coach, that is. I have a book at home that encourages people to keep personal journals, which I also advocate. But what I really like is the title: Leaving A Trace. By investing just a little time each day to record your efforts in improving your health and wellness, you, too, will stand a better chance of leaving a trace of your positive influence in the lives of others for generations to come.